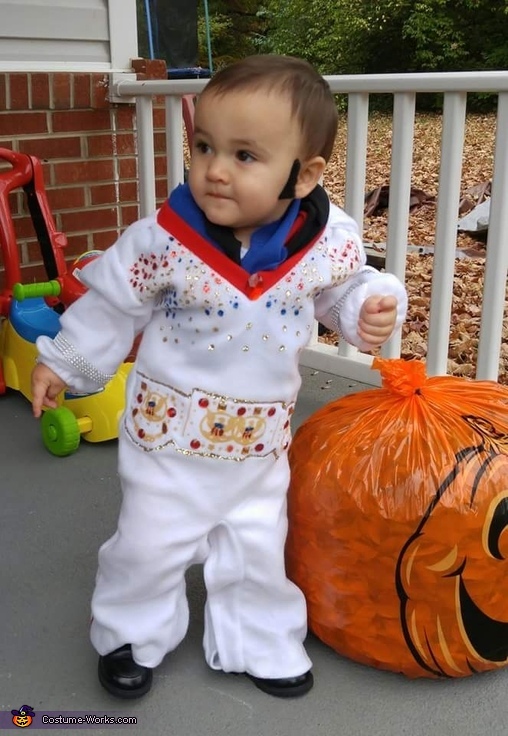 Declyn, one, is wearing an Elvis costume. The costume was plain so we added jewels and glitter to make it stand out. We used a stick on fake mustache for his sideburns.